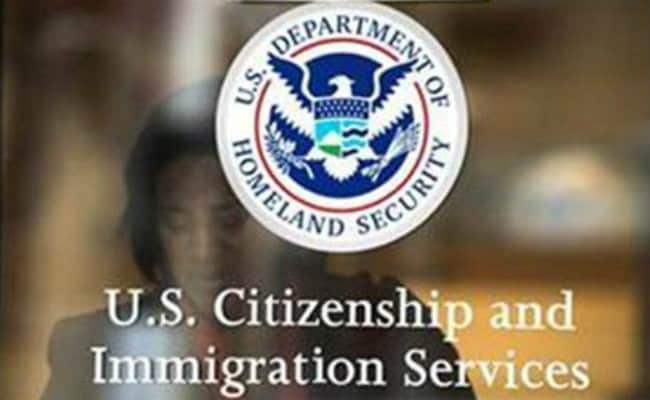 US administration warned IT companies bringing workers under H-1B visa against misusing the programme. Washington: Encouraged by a sharp downturn in illegal border crossers, the US administration is ramping up a crackdown on undocumented immigrants, taking aim at both Central American laborers and Indian tech workers in Silicon Valley. Police, prosecutors and judges have been ordered to take a harder line against all illegal immigrants, detaining anyone without papers and vigorously prosecuting more of them. Hiring standards for immigration agents are being eased to quickly beef up their ranks, more facilities to hold detained immigrants are being built, and more judges are being added to handle cases. And officials have been directed to round up illegal immigrants, even those in the country for decades, at places that used to be safe -- courthouses, town halls, and cities offering them sanctuary. Meanwhile designs are underway for construction of a wall along the entire 2,000-mile (3,200-kilometer) US-Mexico border that President Donald Trump promised. It won't be a full physical barrier all the way along, but strategically erected wall sections interspersed with stretches of technology-dependent surveillance. "For those that continue to seek improper and illegal entry into this country, be forewarned: This is a new era. This is the Trump era," Attorney General Jeff Sessions told border patrol agents on Tuesday. Trump came into office promising to expel the estimated 11 million people living in the United States illegally, who he says steal American jobs and fuel crime. Most are from Mexico, and many of them have been here for decades, raising families, owning homes and businesses. Three months into the Trump administration, the number of illegal border-crossers has plunged to a four decade low, according to the Customs and Border Protection agency (CBP). Apprehensions of illegal border crossers in March dropped to 16,600, down 30 percent from February and 64 percent from a year ago. It is too early to see any pickup in deportations, which take longer to process. But Tom Jawetz, vice president in charge of immigration policy at the Center for American Progress think tank, says there is a clear change in immigration enforcement. Sessions this week ordered CBP and Immigration and Customs Enforcement (ICE) to detain anyone who crosses the US-Mexico border without legal documents and present them to a judge. In the past, most were just delivered back over the border. He also ordered prosecutors to lodge felony charges when someone is caught sneaking in for a second time. Those who transport and harbor illegal immigrants risk jail, as does anyone caught using false papers, common among illegal immigrants. "The lawlessness, the abdication of the duty to enforce our immigration laws and the catch-and-release practices of old are over," Sessions declared. Secretary of Homeland Security John Kelly has authorized CBP and ICE agents to go after illegal immigrants in places they once felt safe. An increasing number have been rounded up in public offices applying for licenses, reporting crimes, even meeting immigration officials to legalize their residence. California Chief Justice Tani Cantil-Sakauye protested in a letter to Sessions and Kelly that such areas were supposed to be protected and accused ICE of "stalking" people who "pose no risk to public safety." But the two officials said the arrests will continue, criticizing any policies that offer sanctuary to illegal aliens. With some Republicans in Congress calling for a 50 percent cut in legal immigration, Trump has also ordered a tightening in that area. He ordered a temporary halt to refugee arrivals and is fighting courts to implement a halt on arrivals from six mostly Muslim countries. Visa applicants in many countries say they are facing longer waits. Sessions and Kelly warned technology companies bringing in skilled workers under the H-1B visa program that the government will take a tougher line with any company abusing that program. Previous permissions for H-1B workers' spouses to also work could be eliminated. But as the campaign picks up pace, economists and immigration experts warn a crackdown will remove an economic boon and overwhelm the justice system. "The benefits that immigration brings to society far outweigh their costs," nearly 1,500 Democratic- and Republican-aligned economists, including six Nobel laureates, said a letter to Trump. Jawetz said the crackdown is unjustified, given that there has been a "net outflow" in Mexicans in the past few years. "A large share of people who are coming across our southwest border today are people who are seeking asylum, who cannot and should not be prosecuted for illegal entry," he added. Chasing undocumented immigrants from public spaces also has negative effects for US society, he said. "What we know from law enforcement in Houston, in Los Angeles, El Paso and elsewhere, is that individuals are no longer reporting crimes the way they once were, and are no longer cooperating with prosecutors to put criminals behind bars."